Despite my inherent bias towards frozen Dim Sum, I still occasionally pick up some just for convenience. Hey, even though my grandma showed me how to make potstickers right down to the pleating, I really don't have the time to make it from scratch. Hence, I put up with the mediocre stuff found in the display freezers. 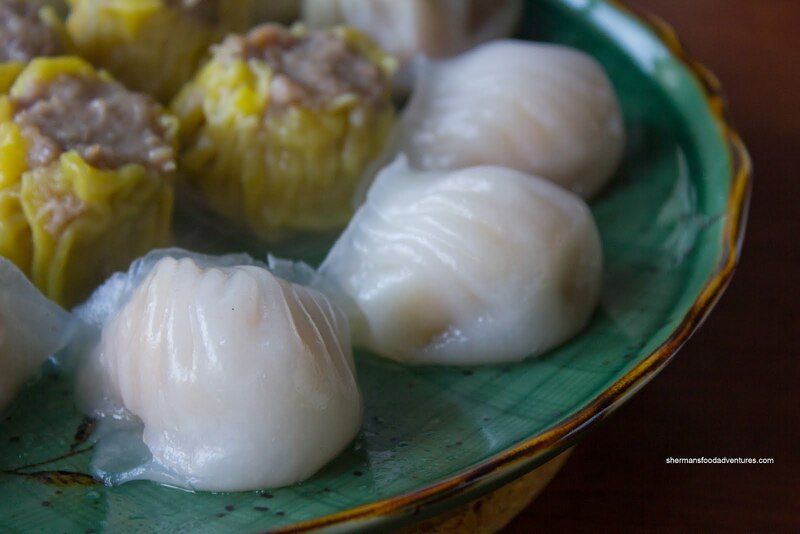 The next place up to bat for frozen Dim Sum supremacy (is that an oxymoron?) is Tai Fang Noodle. And why is it this place? Well, I was on another one of my forays into Crystal Mall (why do I keep torturing myself so...) and it just happened to be there along my jaun t over to Pine House. After perusing the decent selection of frozen dumplings, I settled on the basics. I decided to try them out immediately and put them into the steamer. 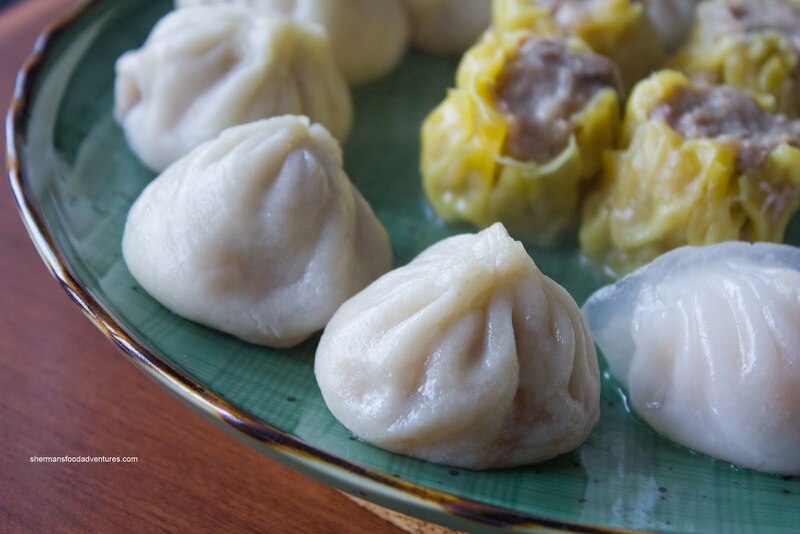 Oh, despite the picture of all the dumplings on one plate, they weren't steamed together since they all have different cooking times. Starting with the Haw Gow (shrimp dumpling), these were a pretty decent attempt for frozen stuff. The skin was predictably thick while the filling was actually quite good. The whole shrimp had a nice snap and were quite sweet. Not bad really. The Sui Mai were okay taking into account that there was no shrimp. Hence, the success of the dumpling rested on the shoulders of the pork. It was more or less the bounce texture we normally look for, however, it was pretty one-dimensional in flavour since there was a meager amount of shiitake mushroom too. Now the trickiest dumpling to do right, even when fresh is the Xiao Long Bao. Imagine the challenge at hand with a frozen one. So with that in mind, reasonable expectations must be employed. Otherwise, there will be a lot of bitching and whining. Well, I'm pretty sure most would have predicted that the dumpling skin was thick. Beyond that, the meat filling was actually quite good with a good hint of ginger while being non-gritty. There was also a small amount of soup which was a pleasant surprise. 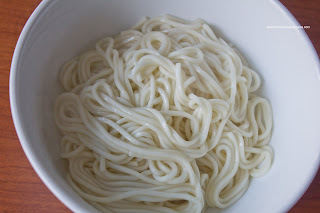 The nice lady threw in a bag of their freshly made Lai Mein or hand-pulled noodles into my order. I cooked these up that night and they were pretty solid. Well, I made sure I didn't overcook them. Remember, fresh noodles take significantly less cooking time. They were chewy and yes, tasted like they were freshly made. I ended up tossing it in a spicy-soy sesame oil concoction. Worked out quite well. 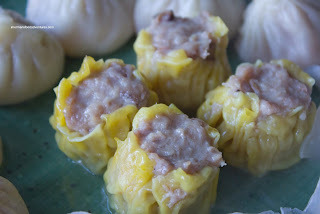 So how does this place compare to the other recent frozen Dim Sum joints I've visited? 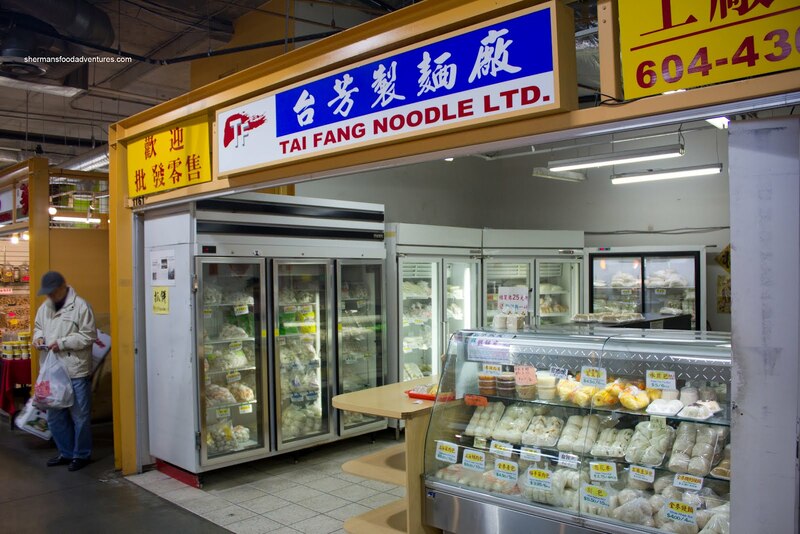 I would say Tai Fang is pretty much on par with Best Dim Sum and Sun King. Not necessarily great, but does the job for what it is. I'm just not sure I'll be back anytime soon since it is in the circular mall from hell named Crystal.